Aging is a natural phenomenon from which we cannot escape. The best way to deal with the process is to age gracefully. The onset of wrinkles is the first sign of getting old. However, aging is not just about wrinkles and sagging skin. Those changes are just a superficial view of the impending transformation that your body would undergo with advancing time. There is good news! When taken with an antioxidant-rich diet, antioxidant supplements can prove beneficial to retard the aging process. The underlying truth is as you age, the complete internal system of your body including vital organs such as heart, lungs, and kidneys are all affected: https://www.drlam.com/articles/adrenal_fatigue.asp. Your body needs adequate antioxidants for anti-aging. Studies prove that adequate antioxidants can help slow down cell degeneration, enhance vitality, promote great heart health and well-being. Cardiovascular illness and heart attacks are major issues that the present world is facing. The problem is a great cause of concern especially among the elderly and is one of the major reasons for hospitalization. With age, the skeletal muscles gradually start to wither which is a major reason behind the cause of disability. Years of studies reveal that antioxidants have a positive effect on health and support healthy aging, especially among men. According to a study conducted by the University of Paris (France), antioxidant supplementation among men showed a greater probability of healthy aging including a better score of metabolic and cardiovascular health. The research was conducted by Karen Assmann along with colleagues. Over 3,726 women and men enrolled in the Supplementation with Antioxidant Vitamins and Minerals Study. During the research, the participant’s metabolic syndrome was tracked at the beginning of the study and continued with over 13 years follow-up. The participant’s self-reported medication and dietary habit were also monitored during this period. From time to time, the researchers also measured the participant’s blood pressure, cholesterol, glycemic markers, and waist circumference. Diet plays a major role in promoting good heart health. According to a study conducted by the Journal of the American Heart Association, anti-inflammatory diet may help in the prevention of Myocardial Infarctions (MI). During the research, the measurement of the dietary inflammatory index (DII) indicated that pro-inflammatory diet can increase the risk of myocardial infarctions that play a role in inflammation and atherosclerosis development, a major contributor to cardiovascular disease. Obesity has always been linked with cardiovascular disease. This killer illness is not confined just to the wealthiest nations now. Developing countries are also victims of heart-related problems. A survey reveals that during 2012, over 17.5 million deaths were due to cardiovascular disease which accounted for 31 percent of the total worldwide mortality. The survey also reported cardiovascular illness as the second cause of mortality in France. Over 40 percent of premature cardiovascular deaths are attributed to lifestyle choices. Dietary changes are a simple cost-effective solution to minimize the obesity epidemic and heart diseases. Several studies have been conducted to understand the relationship between nutritional factors and cardiovascular illness. This resulted in the development of a dietary score – Dietary Inflammatory Index (DII). Based on the various components of the diets pro-and anti-inflammatory properties, DII measures its inflammatory potential. A study was conducted to assess the association between the inflammatory potential of the diets measured by DII and the occurrence of cardiovascular diseases including its sub-types – angina pectoris, angina pectoris, MI, and revascularization interventions. The study reported the beneficial role of anti-inflammatory diet on heart health. The research with long-term follow-up included a large team of French adults selected from the SUpplémentation en VItamines et Minéraux AntioXydants” (SU.VI.MAX) study. The Commission Nationale Informatique et Liberté (CNIL no. 334641) and Ethics Committee for Studies with Human Participants of Paris Cochin Hospital (CCPPRB no. 706) approved the SU.VI.MAX study conducted during 1994 and 2002. The research involved randomized, double-blind, placebo-controlled primary prevention trial methods on 741 French adults that included women aged 35 – 60 and men aged 45 – 60. 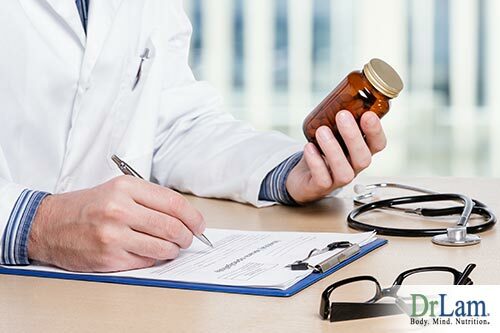 The main aim of the study was to examine the potential effects of the daily supplementation on the prevention of heart illness, cancer, and mortality. The supplementation included “antioxidant supplements”, minerals and vitamins (β-carotene, ascorbic acid, selenium, zinc and vitamin E) which were administered to the participants in nutritional doses. The trial phase of the study concluded in 2002 while the health monitoring continued up to September 2007. During the SU.VI.MAX study trial phase (1994–2002), all the participants were required to provide a 24-hour dietary record for every 2 months. In total, 6 records per person were collected covering all seasons and days of the entire week. At the end of the study and over 13 years of follow-up, a total of 292 cardiovascular diseases were reported which included 54 women and 238 men. The detailed report showed 58 strokes, 93 MI, 13 sudden deaths, and 128 revascularization interventions and angina pectoris. The result of the long study recommended dietary alterations for preventing MI. The study suggests limiting of pro-inflammatory foods. The research further states that anti-inflammatory nutritional compounds might benefit in lowering the risk of MI – thus cutting down the risk of cardiovascular diseases. Aging is not just developing signs of wrinkles; the process affects the inside as well reducing the heart’s potential energy and weakening the entire body. With advanced aging, your heart gradually loses its pumping capacity. Cardiovascular illness also affects heart health. Oxidative stress is known to cause heart disease and accelerate aging. 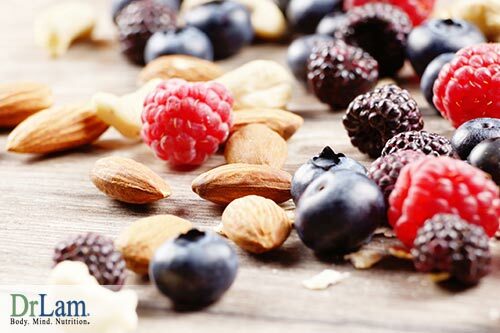 Antioxidants play a vital role in reducing oxidative stress by fighting against free radicals. They also help to detox the body by removing the accumulated toxins from the body. Stress is another factor that is believed to accelerate the aging process. Studies prove that long-term stress can shorten lifespan and increase the risk of age-related illness such as heart disease. People of all genders are concerned about looking young. They reach for various beauty products to make their skin look young and beautiful. Most of the time, the important factor behind aging is neglected. Managing stress can help slow down the aging process to a large extent. How Can Adrenal Fatigue Syndrome Accelerate Aging? People who experience a high level of stress combined with symptoms of insomnia, difficulty in waking up, brain fog, lower concentration level, and weakness during the afternoon and low energy level might be having symptoms of Adrenal Fatigue Syndrome (AFS). People with adrenal fatigue might look good from the outside initially, but their insides have already started to change. If AFS is allowed to continue, then it might lead to premature aging. If you are young but experiencing signs of aging on your skin then it might be due to AFS. Your face will start showing visible signs of aging and your body systems will begin to slow down. Each body has a different capacity for handling stress. While some people get stressed easily, others possess a high capacity to cope with stress. NeuroEndoMetabolic (NEM) Stress Response is a self-regulatory system of the body that protects against excess stress. During the earliest stage of adrenal fatigue, your body is capable of pumping more cortisol to deal with stress. However, as adrenal fatigue starts to advance, cortisol production level gradually decreases, reducing your body’s stress handling capacity. Nutritional reserves in your body gradually start dropping. To maintain energy, your body starts breaking its own body compounds which can hasten the aging process. The solution to premature aging is to adopt healthy lifestyle choice, avoid tight schedules, including antioxidant-rich diet in your life, adrenal breathing exercise, and yoga to help normalize adrenal exhaustion. Antioxidants help to repair and restore damaged cells. They also fight against free radicals to protect the body from several diseases such as cancer and heart illness. Including antioxidant-rich foods helps to keep your cell youthful and healthy. What Are Antioxidants and Why Are They So Important? Antioxidants are substances that slow down the oxidation process. They protect the body from the damage of oxidizing agents. Your body has both free radicals and antioxidants. Certain antioxidants such as glutathione, CoQ10, and Alpha-Lipoic Acid are produced by your body itself. Other antioxidants such as resveratrol and carotenoids can be obtained from the diet. 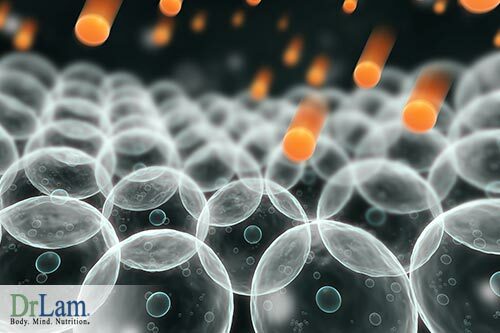 Cellular reactions in your body produce byproducts in the form of free radicals, but when certain kinds of oxygen molecules freely travel in your body they form free radicals – causing oxidative damage. Toxin exposure, stress, poor nutrition and other factors can increase free radicals. Oxidative damage is caused when the free radical level in the body exceeds the antioxidant level. The result is damaged cells, a weak immune system, and accelerated aging. Oxidation causes certain chain reactions that damage the cell. Major health problems such as cancer, dementia, arthritis, and heart disease are all caused due to an increased level of inflammation and oxidative damage. Antioxidants protect the cells from oxidative damage by fighting against the free radicals. Processed food, high stress, exposure to pollution, and some medications make your body more accessible to free radicals. In the present world, your body has been continuously exposed to oxidative stress. Antioxidants are required to heal you from the inside and remove harmful toxins from the body image source. Consuming foods high in antioxidants helps to restore the damaged cells resulted from oxidative stress. It is important to include foods rich in selenium, vitamin C, vitamin E, isothiocyanates, coenzyme Q10, polyphenols, and carotenoids.